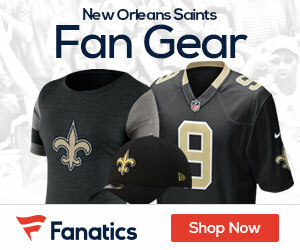 After the 2017 NFL Draft last weekend, word in League circles was that the New Orleans Saints were actually said to be considering making a move with their top pick -- the 11th overall -- that involved setting themselves up for the future, instead of a move that would put them closer to Playoff contention this season. As ESPN Saints beat writer Mike Triplett noted in his column the other day, Saints head coach Sean Payton revealed that he would have drafted Texas Tech QB Patrick Mahomes of Texas Tech, if it hadn't been for Ohio State CB Marshon Lattimore -- who was the #1 rated cornerback in the entire Draft -- unexpectedly still available to them once they were "on the clock". Payton told Triplett that they had Lattimore ranked ahead of Mahomes -- but that Mahomes was the next player on their board and they would have taken him at #11 if Lattimore had gone 10th instead to Buffalo. But suddenly Buffalo instead chose to trade the 10th pick overall to Kansas City -- who then chose Mahomes for themselves, to be their new QB of the future and possibly beginning as early as this upcoming season. The reasons that the Saints were considering Mahomes are obvious: which is that Saints QB Drew Brees, who is in the final year of his current contract and turns 39 next January, is not going to play forever. Saints fans would love it if he could, but the reality is that time eventually catches up with everyone --- and Drew Brees isn't going to be any different (just ask Brett Favre or Peyton Manning). Now of course that still doesn't mean that the Saints brass are intent on replacing Brees just yet, since he obviously is still playing at a very high level and because they likely are expecting him to re-sign with the franchise for what probably will be one last time --- with a final contract that would take the 15-year veteran into his early 40's. But -- just because the Saints didn’t wind up drafting a quarterback at all this year, doesn't mean that they still aren't considering it for next year. Even if Brees does come back in 2018 and for a few years after that, the Saints know that time is starting to run out on them with regard to having the next QB in place to take over after Brees retires. Current back-up Chase Daniel turns 31 in October, but he isn't expected to take over permanently for Brees at any time and should only be viewed as "insurance" in case Brees suffers an injury. And 3rd string QB Garrett Grayson will have to prove to the coaching staff that he is even worthy of a roster spot, at this point. As it is, the Saints were better off waiting to take a quarterback until next year anyway; when they will have the opportunity to select a QB from the 2018 NFL Draft QB class — which many experts say potentially could become one of the BEST quarterback classes in recent memory. Next year’s Draft features a QB class that some analysts say will rival the legendary 1983 NFL Draft class, often considered the draft with the greatest and deepest quarterback talent pool ever. In the 1983 NFL Draft, six quarterbacks -- John Elway (#1 overall), Todd Blackledge (# 7), Jim Kelly (# 14), Tony Eason (#15), Ken O'Brien (#24) and Dan Marino (#27) -- were taken during the 1st round, and several others selected later hung around on rosters for many years. Four of them -- Elway, Kelly, Marino and Eason -- led their teams to Super Bowl appearances, with the Elway-guided Denver Broncos going to five and Kelly's Buffalo Bills playing in four. Three of the quarterbacks form the 1983 Draft Class -- Elway, Kelly and Marino - are in the Pro Football Hall of Fame. If you were wondering the reason that the 1983 QB class was considered "legendary", now you know why. So the question is: why is next year's 2018 QB class being compared to those legends? Next year in the 2018 class, you’ll have no less than 3 --- yes, three -- players that are considered “franchise QB’s”: Southern California’s Sam Darnold, Wyoming QB Josh Allen (who some have compared to Packers QB Aaron Rodgers), and UCLA QB Josh Rosen. Besides those 3 players, there will be other top-notch QB’s such as Oklahoma State QB Mason Rudolph, Washington State QB Luke Falk, University of Washington QB Jake Browning, Louisville QB Lamar Jackson, Mississippi State QB Nick Fitzgerald, University of Pittsburgh QB Max Browne, University of Houston QB Kyle Allen, Oklahoma QB Baker Mayfield, and University of Memphis QB Riley Ferguson who will be available for teams that need a QB, to choose from. Chances are pretty good that the Saints will target one of those young men to be the next Saints QB once Brees hangs up his helmet for the final time. THE top-rated QB of the 2018 class as of right now, Easterling says that Sam Darnold wasn’t even the opening-day starter for the Trojans last season, but became USC’s savior "down the stretch". Darnold took over a 1-3 team and led them to nine straight wins, including an incredible Rose Bowl victory (453 yards, five touchdown passes). Easterling says that the 6-4, 225-pounder has all the physical tools to be a franchise passer at the next level (he personally reminds me a bit of current Detroit Lions All-Pro QB Matthew Stafford), and appears to have the “it” factor that raises his teammates’ level of play and wills them to victory. A highly touted recruit coming out of high school as the nation's #1 quarterback, Easterling says that Josh Rosen was crowned a top future NFL prospect seemingly before he ever took a single snap in college for the Bruins. Injuries cost him half of the 2016 season, but when he’s been at 100 percent, but Easterling says that it’s easy to see why NFL scouts should fall in love with Rosen's potential. If he can stay healthy and continue to develop throughout the 2017 season, Rosen could end up challenging for the No. 1 overall pick in next year’s draft. The "underdog" of the 2018 QB class because he plays for a 'small school' at the University of Wyoming, Easterling says that Josh Allen started picking up steam as a potential top prospect heading into the recently-completed 2017 draft process before deciding to return to school for another year. Easterling says that the film on Allen is inconsistent so far (five interceptions against Nebraska looked rough), but there’s plenty to like about his arm talent and physical tools --- a reason why one anonymous NFL scout compared him to Green Bay Packers All-Pro QB Aaron Rodgers. A strong season with improved decision-making could cement Allen in the top-five overall conversation, but he’ll first have to prove he can beat top-level defenses when given the chance. My personal favorite just because I believe he would be the PERFECT FIT for the Saints offense under Sean Payton and also because he can throw a pass 70 yards with a simple "flick of the wrist", Oklahoma State QB Mason Rudolph could have been a fairly high pick in the 2017 draft, but chose to return to Stillwater for his senior campaign. Easterling says that it doesn’t take long to see what NFL decision-makers are always looking for in a potential franchise passer: size, arm talent, athleticism, accuracy, and most importantly --- decision-making. The 6-5, 235-pounder tossed 28 touchdowns and just four interceptions last season, but expectations will be extremely high this year. Easterling notes that if Rudolph lives up to those expectations, he could end up being a first-round pick next April. Another talented passer who could have heard his name called fairly early in the 2017 draft, USA TODAY's Easterling says that Washington State QB Luke Falk also chose to keep his talents at the collegiate level, returning to Pullman for one more year. Easterling adds that Falk has prototypical size and adequate arm strength, but what separates him from the pack is his impeccable touch when attacking all levels of the field. A former walk-on, Falk has averaged over 4,500 yards, 38 touchdowns and less than 10 interceptions per year over the past two seasons, and could crash the first round this time next year. Keep in mind, next year in NFL Free Agency there will be 2 quarterbacks that the Saints would likely target if they don't re-sign with their current NFL teams before next March -- Detroit Lions All-Pro QB Matthew Stafford, and current back-up (behind Tom Brady) New England Patriots QB Jimmy Garoppolo. Whether or not the Saints will eventually pursue either one of those players is unknown at this point, but obviously if the Saints make a run at signing Stafford in particular, it would only be because the Saints have decided to part ways with Brees after this season is over. But at this current point in time, that seems rather unlikely. Can New Saints LB Coach Mike Nolan “Save” Stephone Anthony?